These are posts sent to the FSFE planet in English. Here some little known, yet awesome apps or tools that I use. Thanks to the people working on these (I’m glad to have met some of them, and they’re awesome too)! Transportr is an Android app to help you use public transports systems. It's simply the best one I've seen, and it supports a lot of systems (city-wide like Berlin or Paris and even long-distance). Feedbin is an RSS web reader. It provides a pleasing reading experience and you can easily browse through items and share links. If you’re looking to host it yourself, have a look at the sources. ikiwiki powers this blog, hosted by branchable. If you like git and markdow, and editing your texts with your favourite text editor, this is for you. Known (formerly “idno”) is more “socially aware” than ikiwiki. It runs with PHP and it’s basically your easy-to-run indieweb space. If you use it with http://brid.gy you will enjoy a nice integration with twitter and other silos (see an example of my own). YunoHost is custom debian distribution aiming at making self-hosting easy. It provides a nice web interface for administration of your self-hosted server and for users of the web server. If you have basic linux administration skills, this will be very helpful. Sharesome lets you easily share files on the web. It has a pleasant interface that works well on all devices I have tested so far. It’s also available as a web app. The neat feature is that you can choose where to host your data (for instance, with remotestorage; you can get an account at https://5apps.com). Some shameless self-promo with ToSDR, the app that tells you what happens to your rights online by rating and summarising Terms of service and privacy policies. You can also get it directly in your web browser or as a web app. If you’re looking for a curated list of awesome web services that are free of charge and based on free software and open data, look no further than Jan’s Libre projects. [^nofs]: Unfortunately, Pinboard is not released as free software. But you can export your bookmarks. Some of these logos may be trademarked. No affiliation or endorsement whatsoever. I have applauded the approach and I think the current manifesto is a good starting point --- which is why I have started an effort to create a new better version built on the first version. If you are interested directly into discussing the new version then you can skip the first part of this article. This page uses fragmentions JS. Link to any bit of this document by appending to the URI: ##any bit of this doc. Right now, the manifesto consists of 8 points -- and I think that’s probably too much. As you will see, some of these points overlap. Another thing that’s wrong with the current version is that it mixes several issues together with no hierarchy or context between these; for instance, some points are about user rights, some others are about implementation only (like point 8. Server software transparency). This one is very, very problematic. What does “belong” mean, what does “own” mean? Why is one used in the title and the other in the description? What happens when several persons “created” data. What does “create [data]” even mean? I don’t create “data”, my computer generates data when I do things and make stuff. This point could be read like a copyright provision and thus justify current copyright laws. This is probably not the intention behind this. So this point should be fixed. This reason alone is enough to make it a necessity to update the current manifesto. But what was the intention behind this? I think I understand it, and I agree with it. 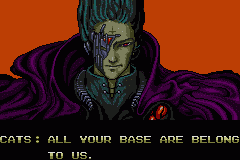 Maybe you know the meme “All your base are belong to us” sometimes deviated into “All Your Data Are Belong to Us” in reference to Google/NSA/etc. This is basically what we want to prevent. For a user data manifesto to be effective, it means that even if I use servers to store some of my data, it does not mean that the server admin should feel like being able to do as if it was their data. The current version of the manifesto says that what makes User Data is data “created by the user.” But I think that’s misleading. Data that is stored on my hard-drive or other storage apparatus. In this case, the meaning of ownership of data is an extension of the ownership of the physical layer on which it sits. For instance, when I refer to the books that are in my private library at home, I say that these are my books even though I have not written any of them. I own these books not because I have created them, but because I bought them. So, for the purpose of the User Data Manifesto, how should we define User Data to convey the objective that servers admins do not have the right to do as they wish with user data, i.e. our data? “User data” means any data uploaded by a user and/or generated by a user, while using a service on the Internet. This definition is aimed at replacing point 1 of the first version. This definition is consistent with our current way of referring to data as “our own data” but it also includes the case where data is not necessarily generated by devices that we own, but instead are generated by us, for us on devices that somebody else owns. I have tried to improve this. This is point 2 in my version of the manifesto. This is point 3 in my version of the manifesto. These two points are now point 1 in my version. I have merged them together. However, I have modified the part about “choosing the conditions” and instead refer to “permissions” (as in, read-only, read-write, etc.). I think the “conditions” as in licensing conditions are out of scope of this manifesto. This point was redundant with point 4 and it was drafted in a vague manner, so I have modified it and integrated in point 1 of my version of the manifesto. I feel this is not in scope with the manifesto because this describes a feature, not a right, and also because I felt it was a bit vague: what’s “most convenient and easiest way for them”? So I decided to leave this one out. This is about implementation related to point 3 of the current version related to the right to choose any location to store their data, the right to move to another platform. So I have merged it into point 3 of my version of the manifesto regarding the freedom to choose a platform. That’s it. Overall, I think the manifesto was a good starting point and that it should be improved and updated. I think that we should reduce the number of points because 8 is too many; especially because some of them are redundant. We should also give more context after we lay out the rules. This is what I have tried to do with my modifications. There is a pull request on Github pending. Feel free to give your impressions there. Obviously, this is also a request for comments, criticism and improvement of my version of the manifesto. Thanks to Jan-Christoph Borchardt, Maurice Verheesen, Okhin and Cryptie for their feedback and/or suggested improvements since April 2013. This manifesto aims at defining basic rights for people regarding their own data in the Internet age. People ought to be free and should not have to pay allegiance to service providers. Data explicitly and willingly uploaded by a user should always be under the ultimate control of the user. Users should be able to decide whom to grant (direct) access to their data and under which permissions such access should occur. Cryptography (e.g. a PKI) is necessary to enable this control. Data received, generated, collected and/or constructed from users' online activity while using the service (e.g. metadata or social graph data) should be made accessible to these users and put under their control. If this control can't be given, than this type of data should be anonymous and not stored for long periods. When the data is uploaded to a specific service provider, users should be able to know where that specific service provider stores the data, how long, in which jurisdiction the specific service provider operates, and which laws apply. A solution would be, that all users are free to choose to store their own data on devices (e.g. servers) in their vicinity and under their direct control. This way, users do not have to rely on centralised services. The use of peer-to-peer systems and unhosted apps are a means to that end. Open standards for formats and protocols, as well as access to the programs source code under a Free Software license are necessary to guarantee this. Many services that deal with user data at the moment are gratis, but that does not mean they are free. Instead of paying with money, users are paying with their allegiance to the service providers so that they can exploit user data (e.g. by selling them or building a profile for advertisers). Surrendering privacy in this way may seem to many people a trivial thing and a small price to pay for the sake of convenience that the Internet services brings. This has made this kind of exchange to become common. When users control access to the data they upload (Right #1), it means that data intended to be privately shared should not be accessible to the service provider, nor shared with governments. Users should be the only ones to have ultimate control over it and to grant access to it. Thus, a service should not force you to disclose private data (including private correspondence) with them. That means the right to use cryptography[^snake-oil] should never be denied. On the contrary, cryptography should be enabled by default and be put under the users’ control with Free Software that is easy to use. [^snake-oil]: We mean effective cryptography. If the service provider enables cryptography but controls the keys or encrypts the data with your password, it’s probably snake oil. Some services allow users to submit data with the intention to make it publicly available for all. Even in these cases, some amount of user data is kept private (e.g. metadata or social graph data). The user should also have control over this data, because metadata or logging information can be used for unfair surveillance. Service providers must commit to keeping these to a minimum, and only for the purpose of operating the service. When users make data available to others, whether to a restrictive group of people or to large groups, they should be able to decide under which permissions they grant access to this data. However, this right is not absolute and should not extend over others’ rights to use the data once it has been made available to them. What’s more, it does not mean that users should have the right to impose unfair restrictions to other people. When users use centralised services that uploads data to specific storage providers instead of relying on peer-to-peer systems, it is important to know where the providers might store data because they could be compelled by governments to turn over data they have in their possession (Right #2). In the long term, all users should have their own server. Unfortunately, this is made very difficult by some Internet access providers that restrict their customers unfairly. Also, being your own service provider often means having to administer systems which require expertise and time that most people currently don’t have or are willing to invest. Users should not get stuck into a specific technical solution. This is why they should always be able to leave a platform and settle elsewhere (Right #3). It means users should be able to have their data in an open format, and to exchange information with an open protocol. Open standards are standards that are free of copyright and patent constraints. Obviously, without the source code of the programs used to deal with user data, this is impractical. This is why programs should be distributed under a Free Software license like the GNU AGPL-3[^agpl]. Thanks to Sam Tuke for his feedback on the post and the manifesto! Three weeks ago, I started working for Open Invention Network as an intern[^intern]. Open Invention Network, or OIN in short, aims at creating a safe environment for Linux and Linux-based systems to thrive in spite of all the threats that patents constitute to software developers. defensive publications prevent anyone to exclude others from being able to implement something. They're called defensive because they can be used against further patent applications or they can be used a posteriori to defend oneself against patent infringement claims. Indeed, if the software is already accessible by the public before a patent on it is submitted, there’s no way you or anyone would be infringing on a patent on that software. Actually in that situation the patent should be invalidated. Then you might ask: why do I need to write defensive publications if I have already published my source code? -- Unfortunately, that’s because just releasing source code is not effective to protect yourself against patents. In theory, it is true that you are immune from infringement of subsequent patents as soon as you’ve made your software source code publicly accessible online, for instance using a public version control system like Github. Patent examiners have a strong sense of the technology that is patented, but they’re missing an understanding of what has been and is currently being developed in the open source world. As shocking as it may seem, the result is the examiner formulating an inaccurate sense of what is innovative. As the final arbiter of a very significant monopoly grant, they are often grossly uninformed in terms of what lies beyond their narrowly scoped search. This is not wholly their fault as they have limited resources and time. However, it is a strong indication of a faulty system that is so entrenched in the archaic methods under which patent offices have been operating. 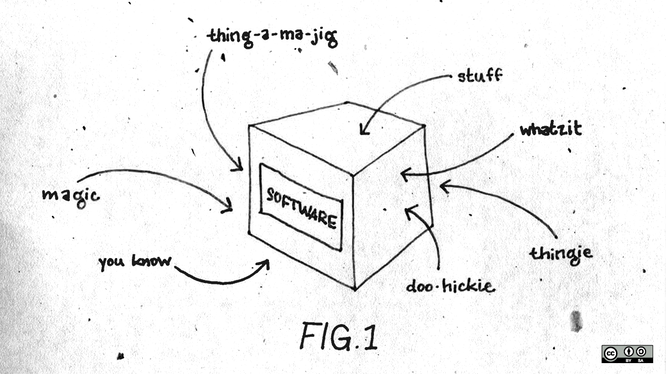 As Andrea pointed out, patent office staff will usually not go to software repositories and read source code in order to find prior art. That’s why making it easy for them to read about what you’ve done in software is necessary. That’s what defensive publications are supposed to do. The problem is that in each of these cases, the process can be quite long. Litigations can go on for several years, especially since a patent holder will probably try to appeal a decision that invalidate its patent. As for the patent office procedures, they can take a decade. For instance, it took more than 15 years to strike down a single very broad Amazon patent application[^EP0927945]. Meanwhile, the patent will constitute a potential threat that will effectively encumber the use and distribution of your software. [^EP0927945]: It’s patent EP0927945 The patent’s abstract begins like this: “A method and system for placing an order to purchase an item via the Internet.” This patent was filed at the European Patent Office in 1998. [^intern]: Since I passed the bar exam in December last year, I now have to fulfil two 6-month internships. Basically, defensive publications consist in documenting one aspect of software projects that’s focused on solving a challenge and does it in a new, innovative way. The document would give some context about the state of the art and then describe in more details how the system works, usually by using meaningful diagrams, flowcharts and other figures. And who’s going to read defensive publications? At OIN, we maintain a website to list defensive publications. Then, we submit them to databases used for prior-art examination by patent office examiners. So the target audience for these defensive publications is the patent office that reviews patent applications. A good defensive publication should use generic terms that are understood even by someone who’s not programming in the same language as the one used for the program. Defensive publications may be no more than a re-arrangement of what’s already written on the project’s blog, or in the documentation. They can be useful to explain how your program works to other programmers. In some aspect, they look like a (short!) scientific publication. For software that works in areas heavily encumbered with patents like media codecs, actively submitting defensive publications can safeguard the project’s rights against patent holders. For instance, consider that patent trolls now account for 67% of all new patent lawsuits and as shown in a 2012 study, startups are not immune to patent threats. I’ve also worked on a guide to defensive publications and I am starting to think on how a tutorial might look like. I hope you will find that useful. I’ll write more about that next time! If you are interested, don’t hesitate to join #linuxdefenders on the IRC freenode server. I was reading an article by Lorrie Cranor in the MIT Technology Review on how it’s difficult even for her to protect her privacy online. I appreciate Lorrie Cranor’s work on privacy at Carnegie Mellon University. I have extensively cited her study of the length of privacy policies when I introduced ToS;DR.
[^akaos]: a.k.a Open Source. Both these terms designate the same set of programs. Earlier on Twitter I quickly posted my frustration about this. People who promote web privacy should stop promoting Ghostery, as it’s proprietary. What’s their business model exactly? In my earlier tweet I wrongly stated that the source code was not disclosed; but that’s not accurate. There is some code disclosed (I suppose it’s entirely readable and not obfuscated nor minified). But as you’ll notice, the license is “All rights reserved” so, basically, users have no rights. @accessjames @phisab We are currently working on making it open source, it's an ongoing project. Ghostery blocks, no need for opting out. Wall Street Journal: The encryption flaw that punctured the heart of the Internet this week underscores a weakness in Internet security: A good chunk of it is managed by four European coders and a former military consultant in Maryland. To answer some of the astonished comments I made yesterday, the lack of contributors to the project is baffling. So: the whole Internet relied on 10 volunteers and 1 employee and nobody helped them? I guess this sort of comes back to one of the essential question in Free Software: how do you get the users to fund it? For some kind of software, this can be difficult; but in the case of OpenSSL I would have thought this to be an easy thing, since so many banks and web companies intensively rely on it. But apparently, they didn’t care at all if this major piece of security they were using was able to keep up with security standards or not. Considering the number of people involved with the project, I don't see how it can put enough scrutiny and efforts to make sure it follows the best security review. According to Brett Simmons, That pretty much wraps it up for C.
The whole heartbleed bugs also reminds me that OpenSSL is also an example of bad idea when it comes to licensing issues. The heartbleed vulnerability is not only a catastrophic security issue, it also spans other interesting topics. The first obvious lesson, is that the communication around the vulnerability was brilliant marketing. The other lesson, less satisfying, is why is the majority of the internet relying on a very poorly funded project?! The Washington Post published an article that misses the real issue. The heartbleed debacle is not an issue with the fact that OpenSSL is Free Software (the Apple goto fail bug shows it’s even worse when it’s proprietary--all Apple users had to wait several days before a patch was sent), nor with the fact that the Internet have no single authority (if anything, the openssl library is a single point of failure). I find it astonishing that OpenSSL is so poorly funded and apparently lacks a governance strategy that includes large stakeholders such as the major websites making use of the library and which, instead, are essentially all irresponsible free-riders. The real issue here is one of responsibility. XKCD has an amazingly simple explanation of how the vulnerability works. Note: Since I wrote this, it’s possible that the patched kernel now has more features than only touchpad support. Install xf86-input-synaptics and, from AUR, touchegg and touchegg-gce-git (this last one is to be able to configure gestures with the graphic interface). The real improvement is that I can use three-finger tapping to simulate the middle-click mouse button which is used for quick pasting or for opening links in a new tab. As far as "pinching" is concerned, it does not work reliably at all for me.